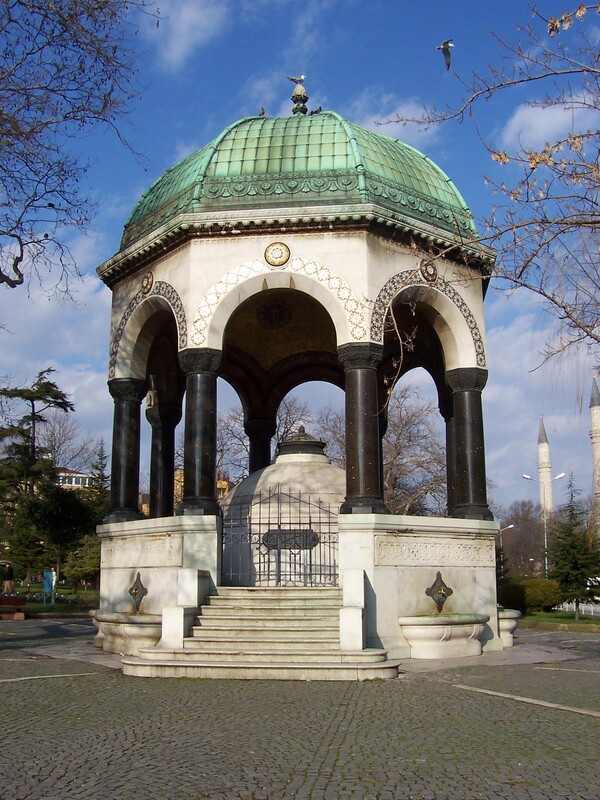 Turkey: Gateway of three continents. Blending of Oriental, Middle Eastern, and European. Uniquely its own. There is a most unusual area in central Turkey called Cappadocia. The area is bounded by the three volcanoes Erciyes, Melendiz, and Hasan. 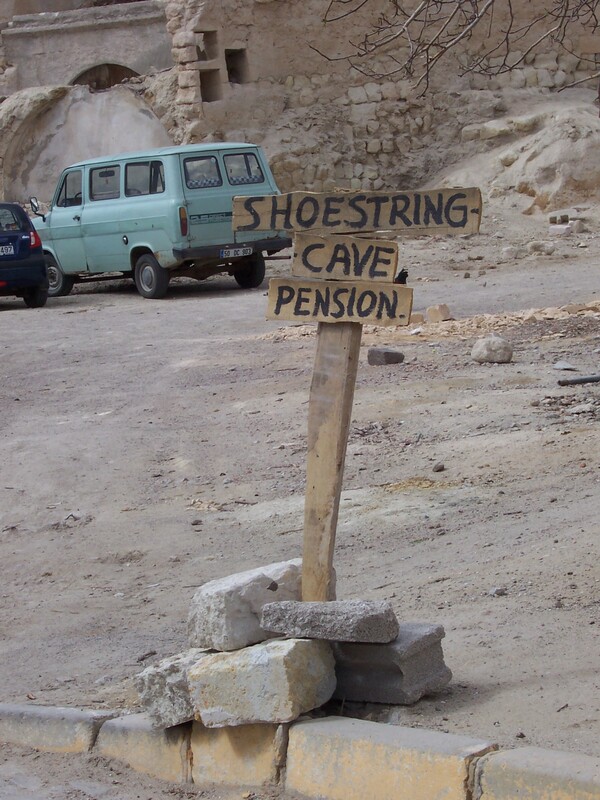 Millions of years ago, this area was filled with the ash and lava from the repeated eruptions of these three giants. Over time, water and wind eroded the area into the stunning geography of today: rainbow colored canyons, fairy chimneys, and what we New Mexicans call “mesas”. 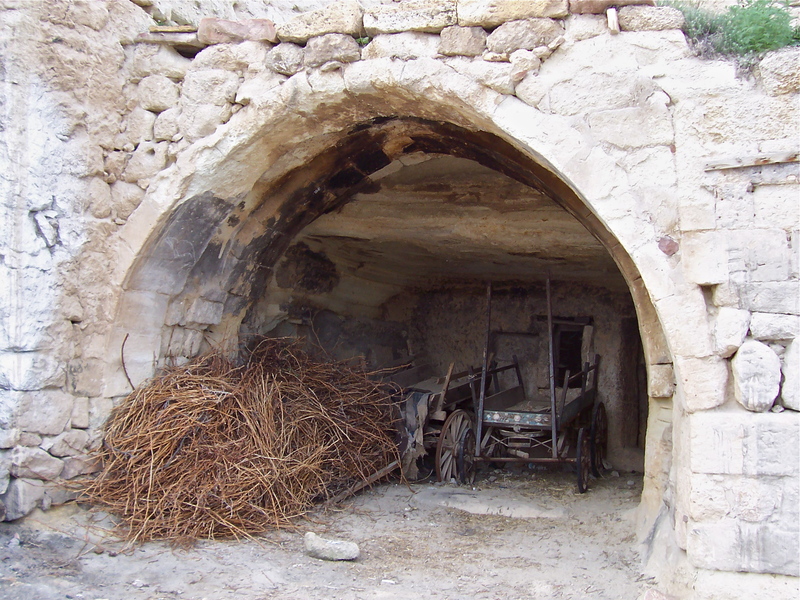 Human settlers carved their homes out of the soft tuft, a great insulator against heat and cold. 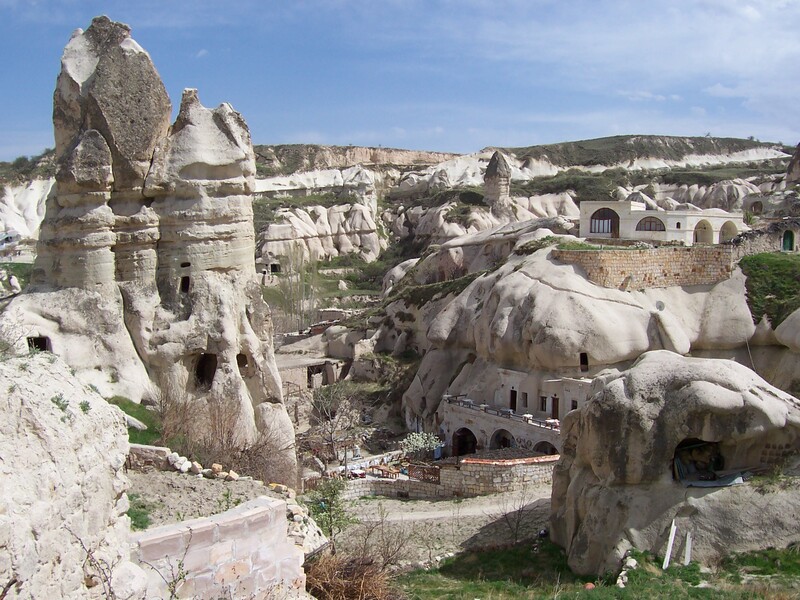 Some even carved entire cities, eight stories or more, under the ground to protect themselves from savage marauders. 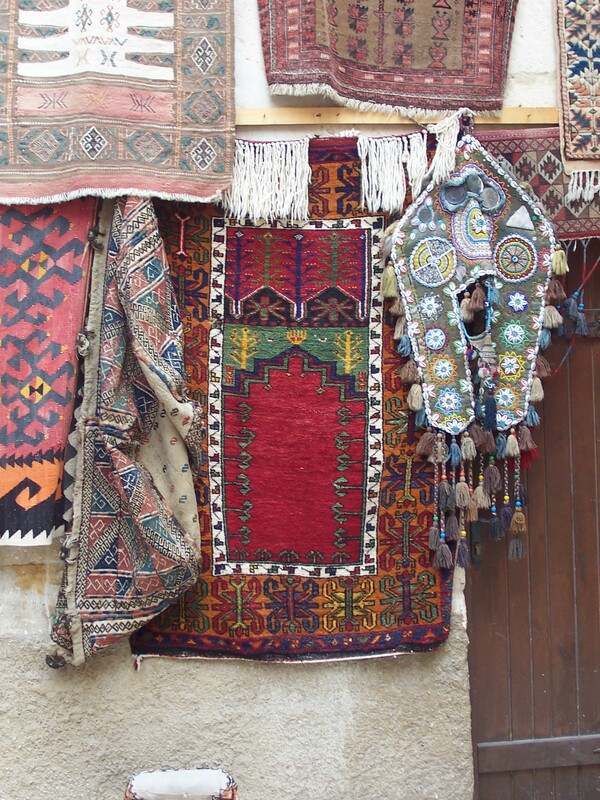 Today this area is filled with artwork, pottery, handwoven carpets, and produce. 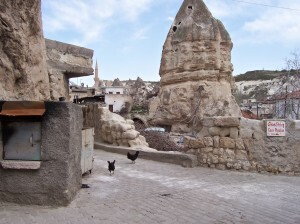 Göreme, a most magical town in the heart of Fairy Chimney country, Cappadocia. One thing that struck me, all over Turkey, whether elegant or modest, all structures had solar panels. Big hotels and office buildings had large banks of them on their roofs. 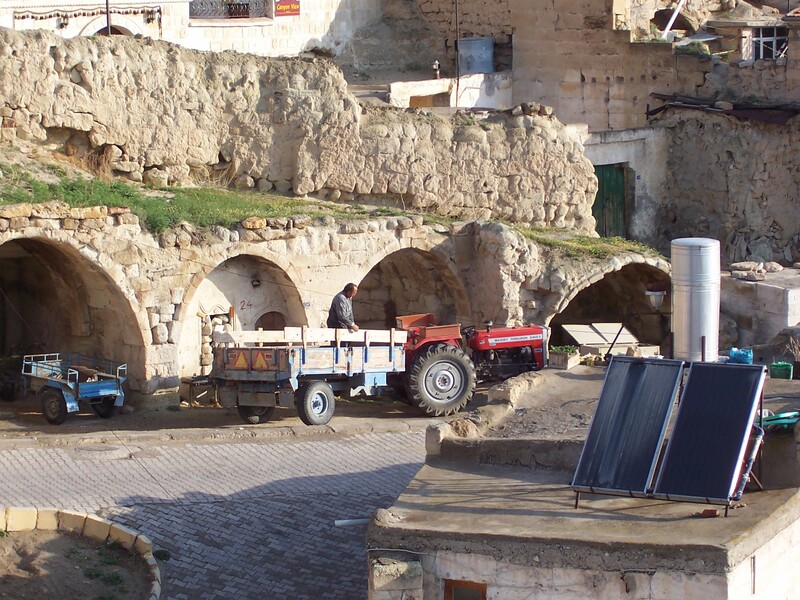 And even here in Goreme, every home had at least one solar panel and a hot water tank. From the “garage” carved from the volcanic tufta, this man makes ready for his day in the fields. 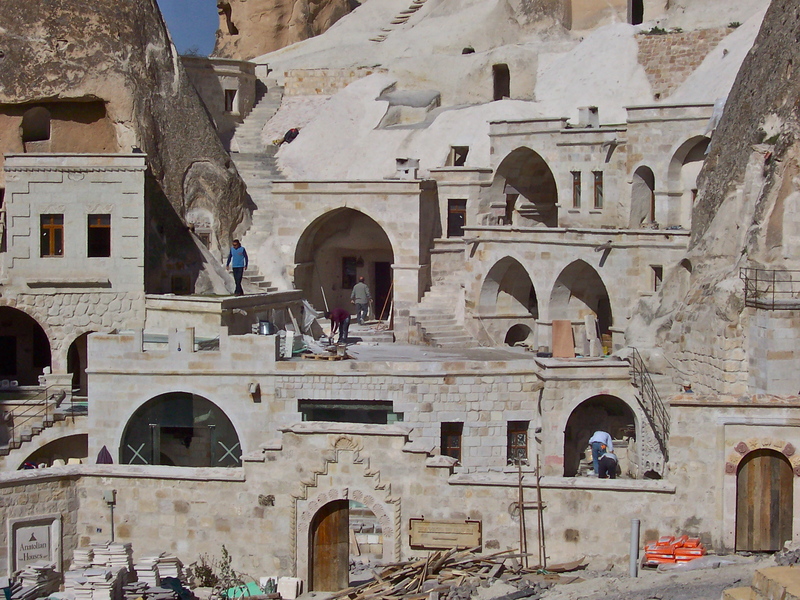 In Goreme, utility rooms are created at street level to hold equipment, produce, and possibly animals. Living quarters were built or carved above these. 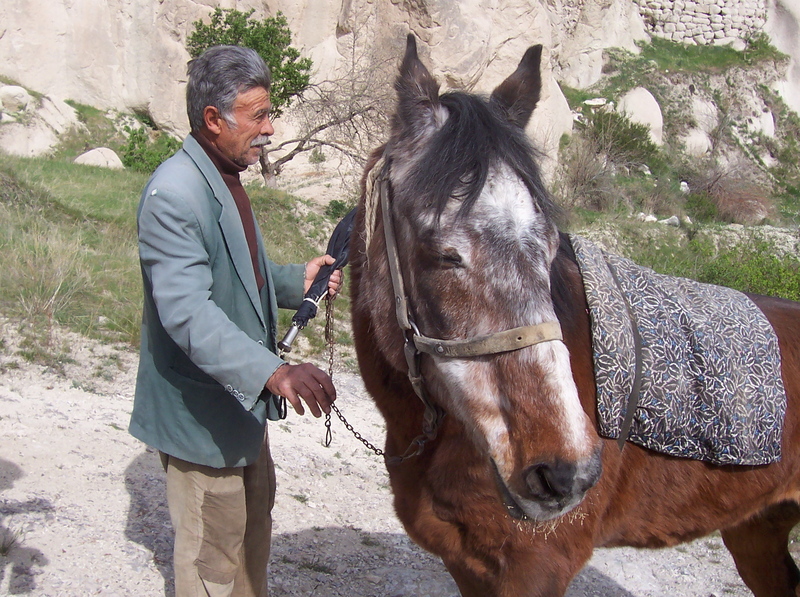 This nice man let me take a picture of him and his horse as they walked up a canyon to his fields above town. The cliffs were laced with color, reminding me of my own New Mexico. I fell in love with this carpet, and to this day regret not buying it. I thought the choice was between two beauties, and I chose another. Wish I had purchased both. We watched them constructing these luxury rooms for a new boutique hotel. 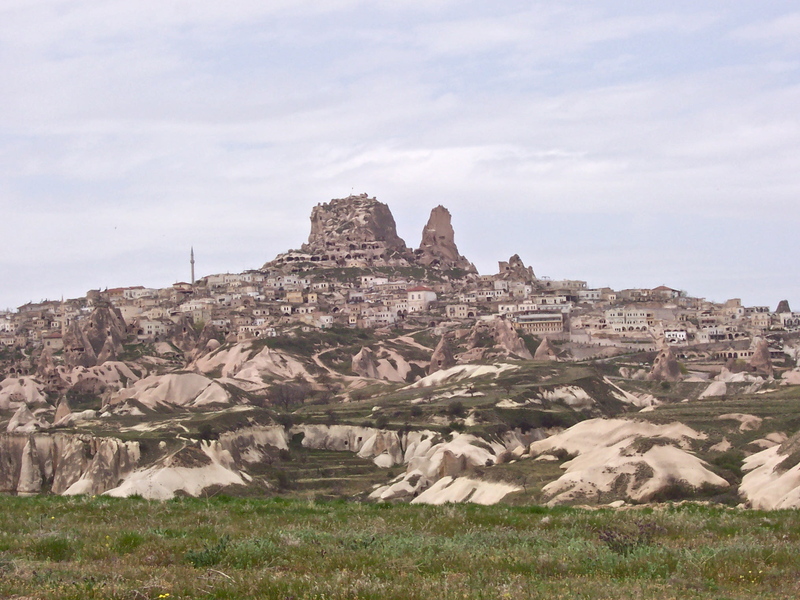 The highest point in this area, and to me the most captivating, is Uçhisar. 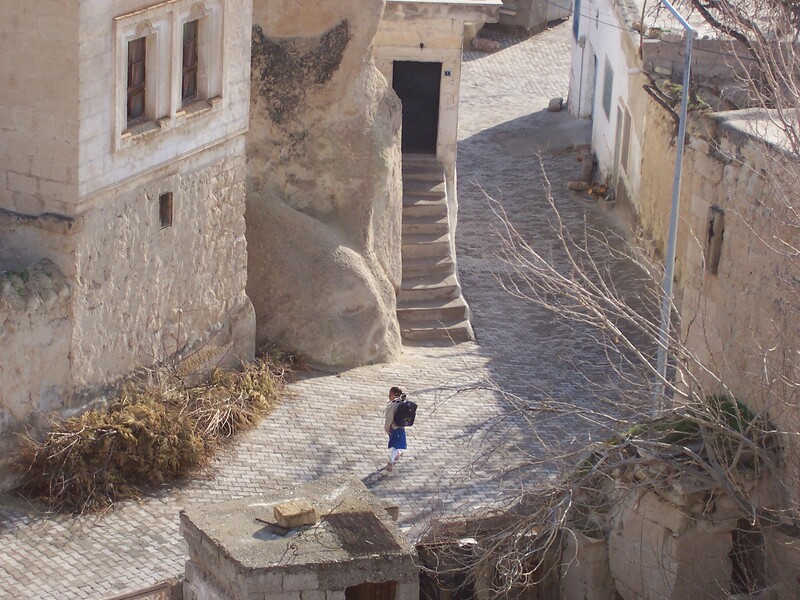 Used as a protective citadel in ancient times, the “castle” is riddled with rooms, stairways, and tunnels that reach out like tentacles below ground.